Sarah and Nick are a magical couple. You can see their sweetness and affection for each other in every shot. They are funny and sincere and so very kind to each other. 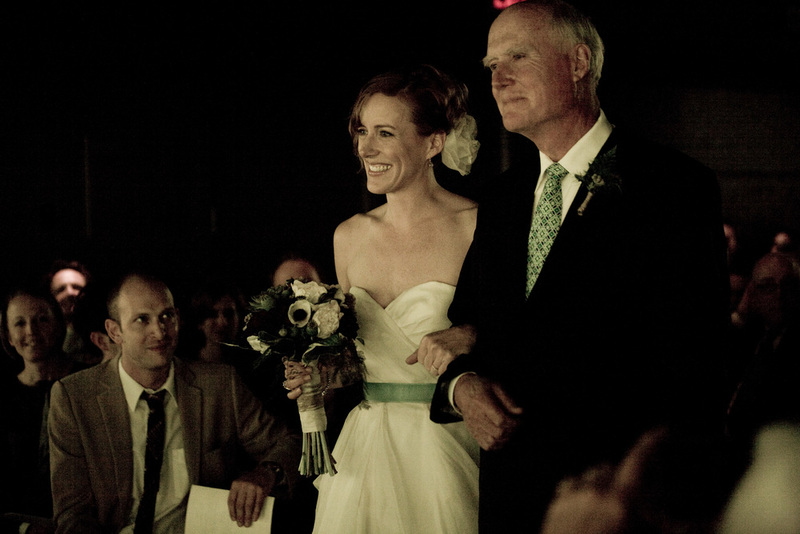 You may recognize the lovely bride from her many memorable roles at The Guthrie Theater. (Go see a show, folks. She's TOTALLY BRILLIANT!) Nick and Sarah met at the Guthrie so it was a fitting place to tie the knot. Their perfectly relaxed ceremony was held in the dramatic Amber Box (notice the cool yellow tint on some of the photos?). After shooting fun photos nine stories above the Mississippi River we headed over to Theodore Worth Park for a ruckus reception. It rained multiple times on their wedding day but you can't tell, can you? We loved every minute.